The industry-standard animation and creative compositing app lets you design and deliver professional motion graphics and visual effects for film, TV, video, and web. After Effects CC is the industry-leading animation and creative compositing software used by a wide variety of motion graphics and visual effects artists. Get powerful timesaving features like a Live 3D Pipeline with Maxon Cinema4D software and new Mask Tracker, which lets you apply a mask and effect that travels frame by frame throughout your composite. Share work from within the application, sync your settings across machines, and get access to new features as soon as they’re released. Bring your 2D characters to life by acting out their movements in front of a webcam with Adobe Character Animator CC (Beta). 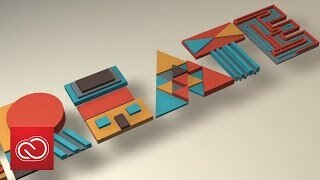 Create editable 3D elements right inside After Effects with the new 3D rendering engine that uses Cinema 4D technology. Collaborate on shared sequences or compositions across After Effects, Adobe Premiere Pro, and Prelude with Adobe Team Projects (Beta). For teams and enterprise customers. Speed up your workflow with preview performance improvements and more GPU-accelerated effects. Bring 2D characters to life by acting out their movements in front of a webcam with Adobe Character Animator. Make Photoshop and Illustrator changes to your puppet and update faster with improved performance. Isolate and adjust colors, balance whites, and make subtle shade adjustments with enhanced Lumetri Color tools. Create and apply new preset SpeedLooks in a single click. Drag your characters across the screen and have them automatically animate according to their movements. Search and instantly access over a million pro-quality videos from Adobe Stock — right inside your Creative Cloud Libraries. After Effects CC is the industry-leading animation and creative compositing software used by a wide variety of motion graphics and visual effects artists. It offers superior control, a wealth of creative options, and integration with other post-production applications — and it’s available only in Creative Cloud. The lack of 32-bit support does not affect the majority of Mac computers that use Intel® processors. The only Mac users affected by the lack of 32-bit support are those using Intel based Mac computers with Intel Core™ Duo (single-core) processors. Refer to the After Effects CC system requirements to make sure your computer meets the minimum system requirements. No. The performance benefits of native 64-bit support make it the best choice for the demanding technical requirements of working with video, particularly HD and higher resolution content. Offering only 64-bit support enables Adobe to optimize performance even further. Will my existing plug-ins work with After Effects CC? Any 64-bit plug-ins designed for After Effects will work in After Effects CC. Any 32-bit plug-ins for After Effects will need new versions designed for 64-bit computing. For more information, contact the plug-in manufacturers..
a standalone application or as part of the Creative Cloud Collection on both monthly and annual plans plans.